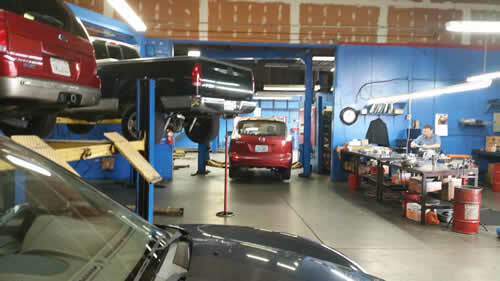 At AAMCO Transmission Repair Shop of Garden Grove, CA, we specialize in automatic transmission diagnostics, repair and rebuilding and back our work with the strongest nationwide warranty in the business. Here at AAMCO Transmission Repair Shop of Garden Grove, CA, we know your transmission is the last thing you have time to worry about. Our Transmission & Auto repair specialists make sure you leave our center with peace of mind knowing that your car received the best care, all at the right price! If an AAMCO Transmission Multi-Point Inspection diagnosis determines you need a transmission, you can be confident that the unit that will be installed into your vehicle will provide years of dependable service. You’ll discover AAMCO Transmissions are your most dependable solution whether an AAMCO master builder rebuilds your transmission on-site using only the highest quality AAMCO-approved replacement parts or whether we install a premier replacement transmission, you can count on AAMCO for quality and reliability.